Pakistan Elections 2013: Is Imran Khan the Barack Obama Of Pakistan? The cricket bats at the rallies are second to the immense feeling of excitement and hope from millennial voters Imran Khan brings to this year&apos;s elections in Pakistan. Khan is confident that his party will sweep the nation&apos;s polls because of the youth vote: "This is a revolution. Look at these people. They are fed up with the status quo. This is an across-the board desire for change and a fear the country won&apos;t survive unless we do." Khan is borrowing from candidate Obama&apos;s playbook and appealing to Pakistani youth&apos;s desire for change. Pakistani politics have been dominated by the Pakistan People’s Party (PPP) and the Pakistan Muslim League (Nawaz) but Khan is offering a "third way" with his Pakistan Tehreek-e-Insaf (PTI) party, translating to the Pakistan Movement for Justice. Screenshot from Imran Khan&apos;s website claiming "This is the New Pakistan"
Khan&apos;s campaign has triggered a wave of hope and enthusiasm amidst a violent election cycle. At least 90 people have been killed in poll-related violence since April. Candidates from all political parties, even right-wing Islamists, have been attacked by the Taliban. Contrast this with these numbers from the Election Commission which is anticipating massive turnouts at the polls on May 11: 35% of the 85 million people registered to take part in the elections are under 30 and nearly 60% under 40. The oxymoron of increased violence and increased youth turnout is creating an undeniably emotional environment. "We want to make a new Pakistan," Imran Khan shouted at a rally as 27-year-old bakery worker Mohammed Saeed excitedly nodded along. Saeed rode his bicycle from the outskirts of town to listen to Khan. Saeed is among the thousands of young middle and lower class youth that Khan has appealed to using the eerily reminiscent hope-and-change message of candidate Obama from 2008: "Until now, no one has changed anything. The parties take turns but have not changed the system. I will transfer power to the common people." Khan&apos;s message also resonates with young professionals and the wealthy, despite his calls for higher taxation and transparency for Pakistan&apos;s elite. Nonetheless, he is facing criticism and skepticism that comes along with the intensely high expectations. Khan has been derided as both not religious enough and too religious depending on the group attacking him. His opponent, former Prime Minister Nawaz Shariff, also tried to knock down Khan&apos;s youth appeal by playing up the fact that Khan is in fact 60-years-old. Most soberingly, Khan has disappointed the more liberal-minded young Pakistanis for his remarks against the Ahmadi population of Pakistan. The four million Ahmadis are a religious minority in Pakistan&apos;s Punjab province that have been excluded from the political process since 1973 after being accused for "posing as Muslims" and Khan has promised to continue this injustice. "I believed in the change he talked about even when I left PTI because I believed that he was a man who wouldn’t bow down to the extremists when he came to power. My belief in him has wavered as his recent actions have been very disheartening to a Pakistani who believes in equal rights for all, regardless of religious beliefs. What is even more upsetting is that I, along with many other Pakistanis, feel helpless and out of choices." Will Imran Khan&apos;s supporters be disappointed by his policies? If Imran Khan does manage to sweep the polls on his "third way" platform, it will be because of the youth of the country. 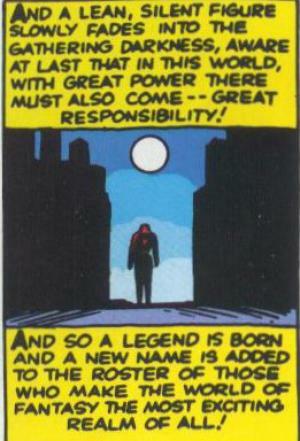 But we all know great power comes with great responsibility. If Imran Khan does not live up to this burden, then the youth of Pakistan will be further disappointed in their electoral process. As law student Mazari asks, "If not Imran Khan, who am I going to vote for?"